1:00-5:00 p.m. Workshop for Ministry Leaders: "White Awake: Developing a Discipleship Framework for Awakening to and Confronting the System of Race"
7:00-9:00 p.m. Evening presentation: "Racism and the Church: A Conversation with Daniel Hill and Todd Allen" Open to the public. Advance registration is required for the workshop and dinner and encouraged for the evening presentation. The workshop and evening presentation are free; Dinner costs $15/person. You can attend one, two, or all three of the day's events. When it comes to the biblical call for reconciliation, white Christians in particular often feel lots of confusion. When we look at other groups of color, we see them as having culture. But when it comes to our own we often feel a sense of void. And when it comes to leading communities of faith, it often feels unclear as to what it means to build disciples that can understand and respond to the impact of race in both society, as well as within their own sense of cultural identity development. A framework for white cultural identity development. 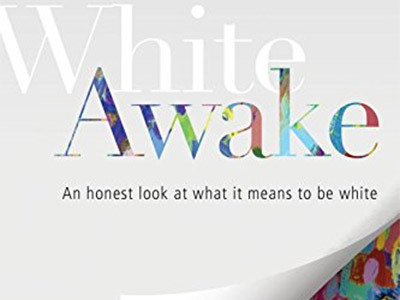 Pastors who register and attend the workshop will receive a free copy of Hill's book, White Awake: An Honest Look at What It Means to Be White. We encourage teams of two-three people from churches to attend. Dinner will be available upon registration for anyone who wishes to stay following the afternoon workshop or arrive prior to the evening presentation. The cost of the meal is $15/person. The evening presentation will be a discussion between Drs. Hill and Allen about racism and the church. Hill's book will be on sale before the lecture, and there will be a book signing after the presentation ends. All who attend are welcome to join us for a reception after the evening's program to continue conversations with fellow attendees. Todd Allen, Special Assistant to the President and Provost for Diversity Affairs and Professor of Communication, Messiah College, Mechanicsburg, Pa. Directions to the Seminary. Free parking is available on the campus of the Seminary behind the chapel and there will be directional signs to indicate where events are being held. Campus map. Lodging On-campus housing is available if you wish to stay overnight. To make reservations, call 412-924-1397 or e-mail reception@pts.edu. CEUs CEUs will be available for clergy upon request. Registration is required. Bulletin Insert Feel free to download this file and make it available to your congregations or other interested parties. Thank you! When you enter a Pittsburgh Theological Seminary event or program, you enter an area where photography, audio, and video recording may occur. Questions about the event can be directed to the Continuing Education at ConEd@pts.edu or 412-924-1345.